One of my favorite perks of living in a city like New Yawk? 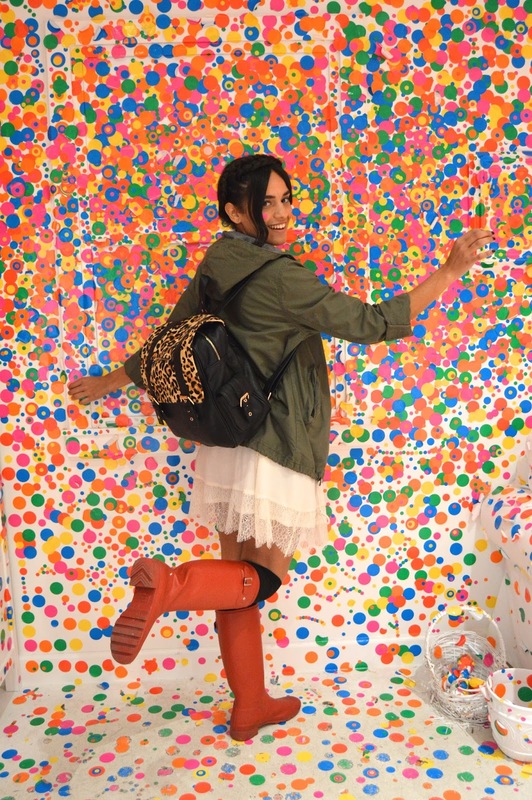 Hands down all the cool exhibits and activities available to the public on a daily basis. 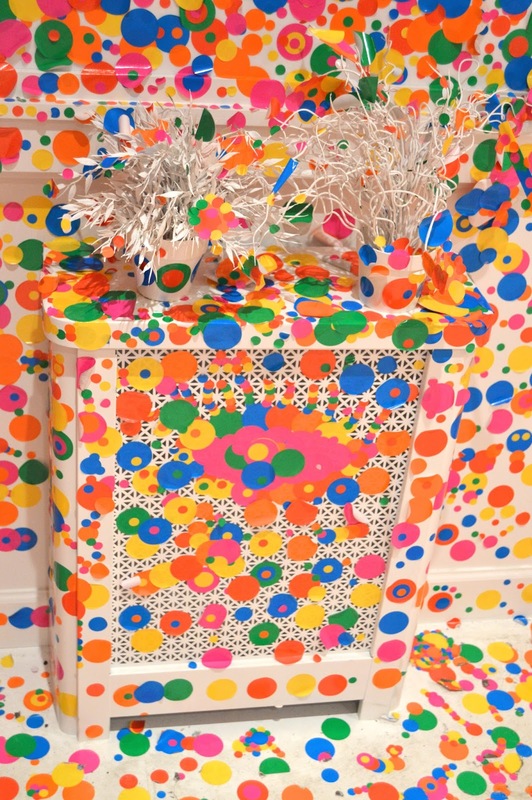 This one by Yayoki Kusama being the perfect example. 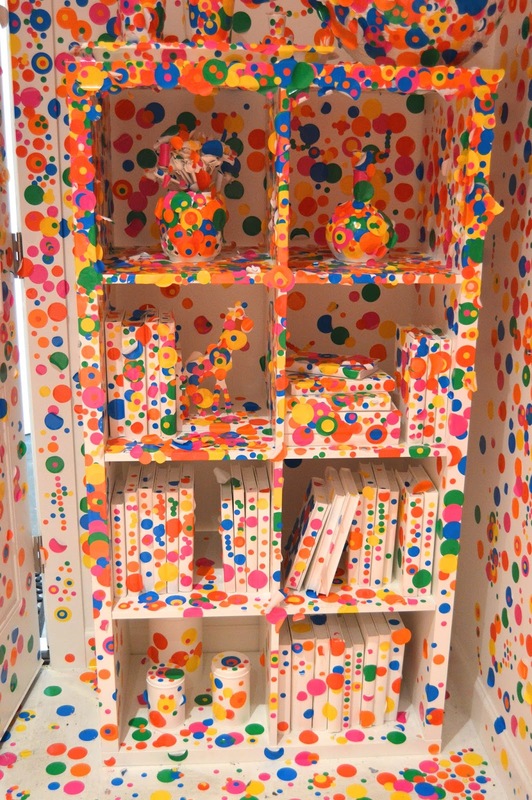 The obliteration room (part of her Give Me Love installation) started out as an all white room where the visitors were able to contribute to the art in by placing the colored stickers they were given upon entering wherever they chose. It's fun, quick, easy and my favorite part, FREE. 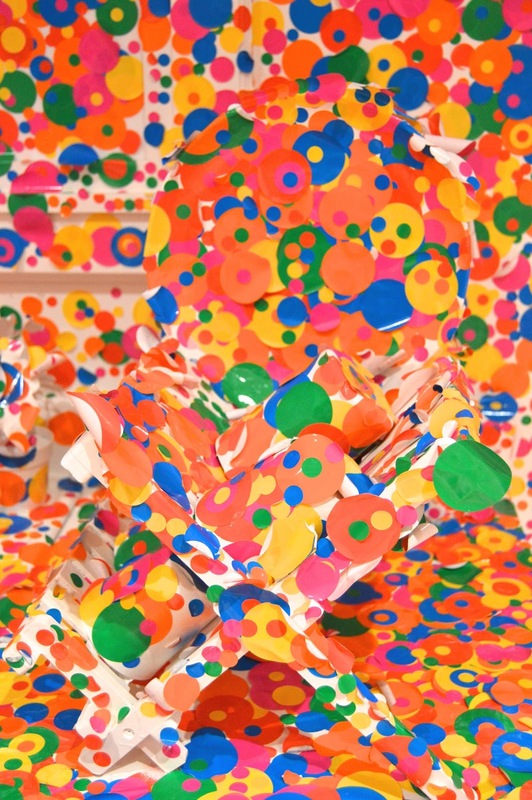 Today is the last day this exhibit will live at the David Zwirner gallery and it's recommended visitors get there before 4 as the line does grow rapidly. If you're free and have a sec definitely swing by Chelsea (the neighborhood *chuckle chuckle*) and check it out. I promise it'll be worth it.